The Canon EOS Rebel T4i/D650's sensor has been rated by DxO Labs. It did not get the highest grade. 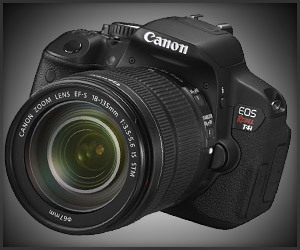 In fact, it received a grade lower than the EOS Rebel T3i. The Overall Sensor Score is based on all characteristics of a camera sensor, independent of the camera lens, and for a general purpose use case. The Use Case Scores take into account the sensor performance for three typical photographic use cases: the Portrait Score, based on Color Depth; the Landscape Score, based on Dynamic Range; and the Sports Score, based on Low-Light ISO. I am not a big fan of charts and graphs type engineering measurement but you can look at the entire review here and make your own conclusion. My own view is take the camera out for a series of real world photo shoots and draw your own conclusion that way.